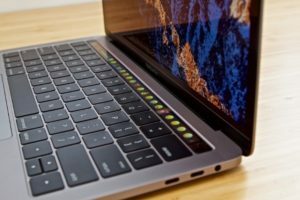 Migliaccio & Rathod LLP is currently investigating 2016-Present MacBook Pro models with the touchbar for defective screens that display a “stage lighting” effect. Owners have contended that the problem is caused by premature wear and tear on the computer’s ribbon cables that connect the display to a display controller board. Because the cables are part of the display, opening and closing the device adds to the stress placed on these cables, particularly to the backlight cable, that results in uneven backlighting along the bottom of the screen. At its worst, the computer will experience complete screen failure when opened beyond a certain angle. Once the problem manifests, owners maintain that it is impossible to replace the display cables without also replacing the screen, which is a $600 repair cost outside of warranty. Has Your MacBook Pro Displayed the “Stage Lighting” Effect?